Harambee Christian School Celebrates 20 Years! 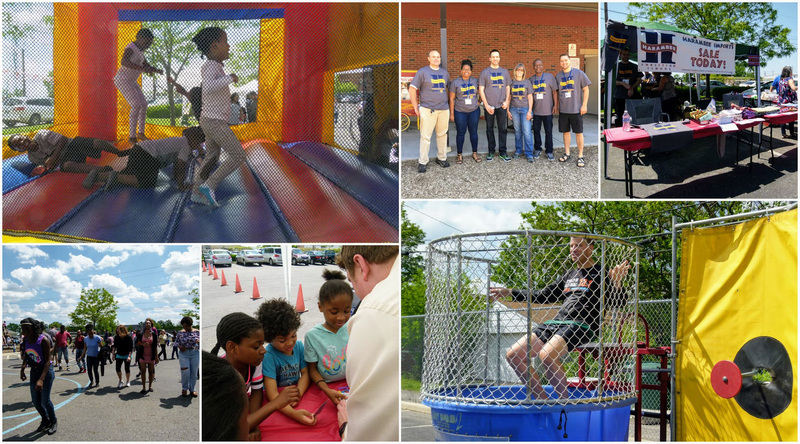 On Saturday, May 13, more than 350 adults and youth attended a celebration of Harambee Christian School's 20th Anniversary. The carnival-themed event included a bounce house and dunk tank, as well as caricatures, face-painting, cupcake decorating, a magician and hip-hop dancing. Volunteers grilled and served the food. And parents who were interested in learning more about the school took tours of the facility. A special plaque was awarded to Executive Director & Principal, Alex Steinman, for his 20 years of leadership and excellence.